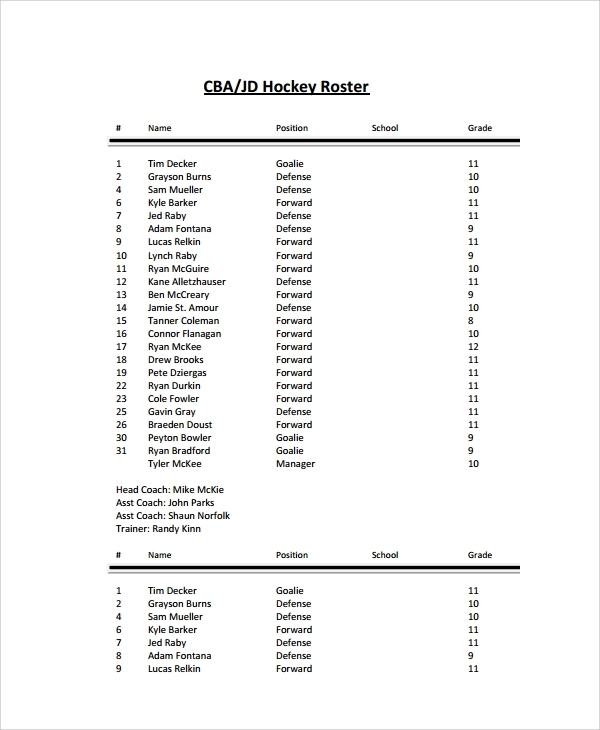 The template is used by ice hockey coaches for the list of information about the players. 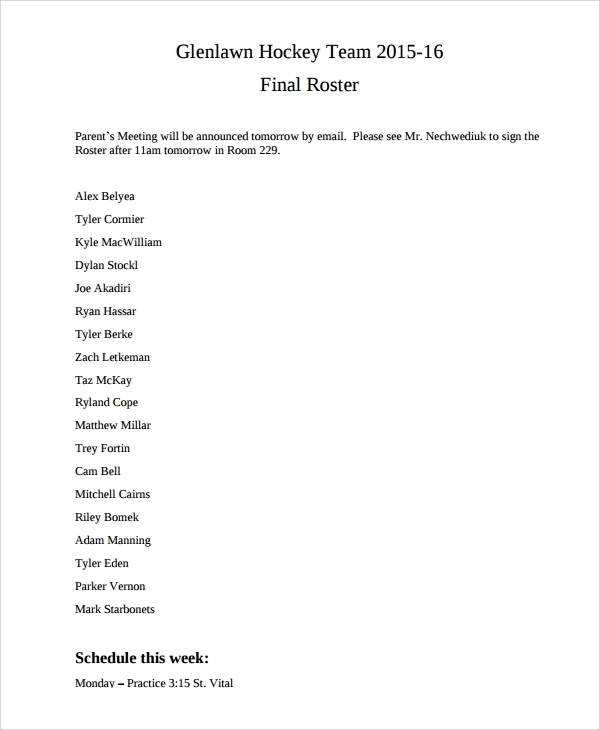 It is a template wherein all the information of both teams are noted or written. It consists of the players’ full name, bio (if required), player’s uniform number, nationality, birth date and other important info. 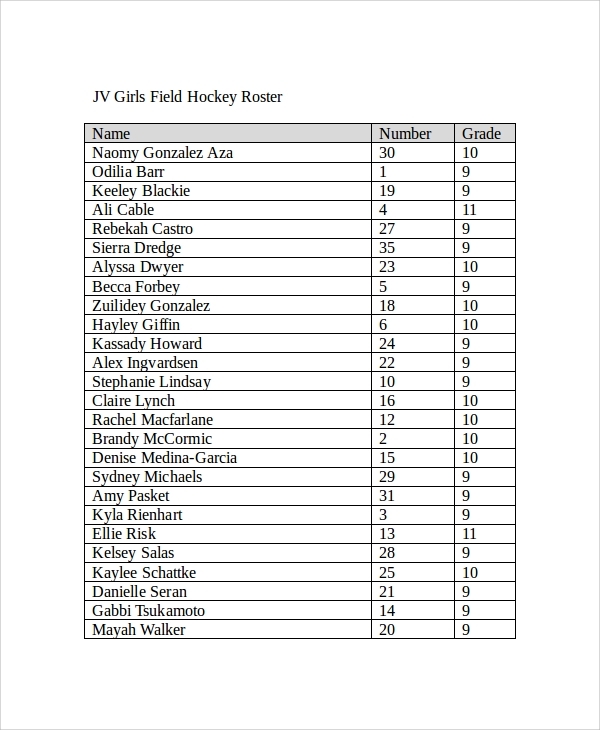 The template is very much helpful when you are listing the player’s important information. You are able to manage the whole details about the players’ info about personal and on game performance. 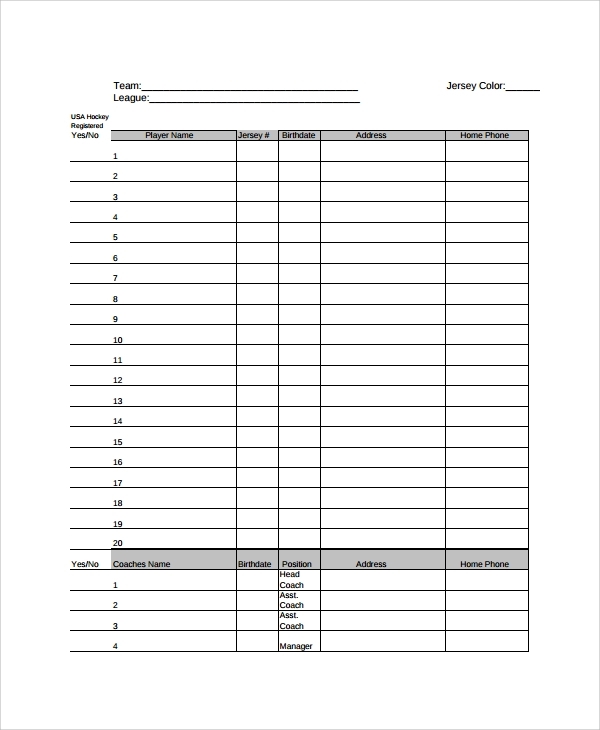 Both player and coach will be needing this blank hockey roster template especially during the starting and after of the game. The template is useful and applicable for coaches and hockey players. 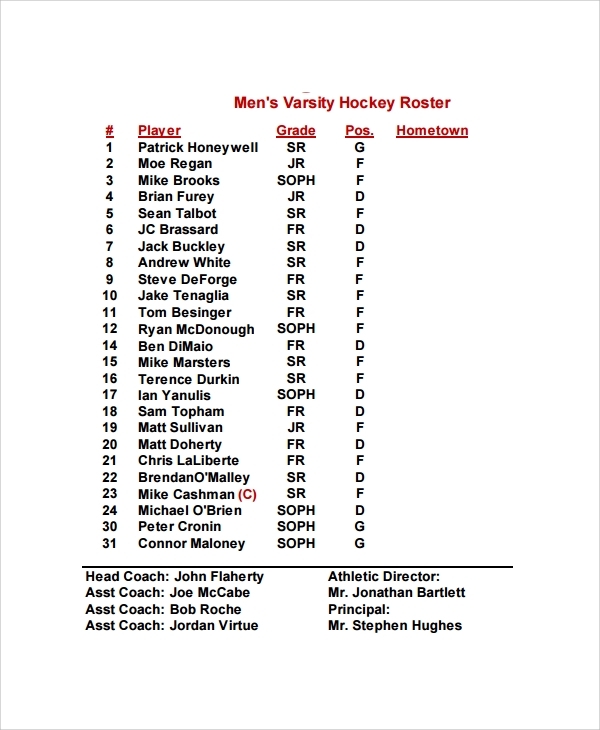 Thus, the information needed for hockey roster will be listed and saved on the template. The sheet is useful during and after the hockey game. 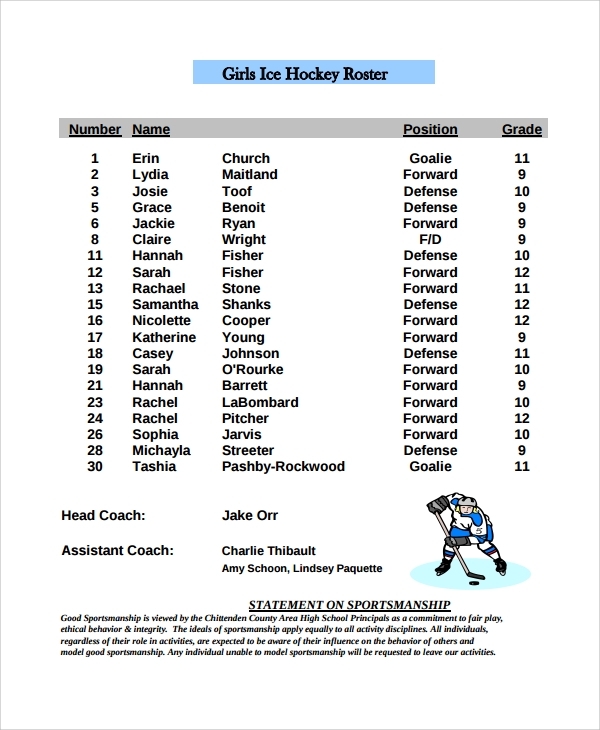 The file or document can be downloaded, free for those players and coaches for the hockey game. 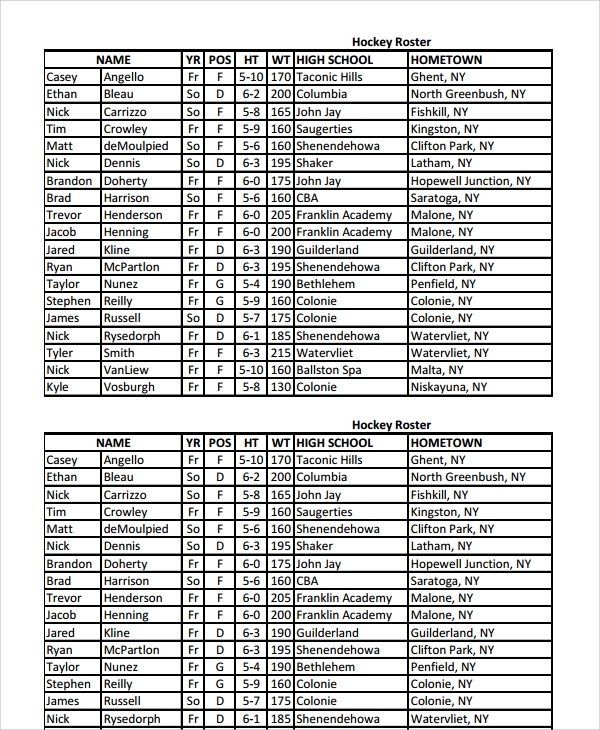 When do I Need a Hockey Roster Template? 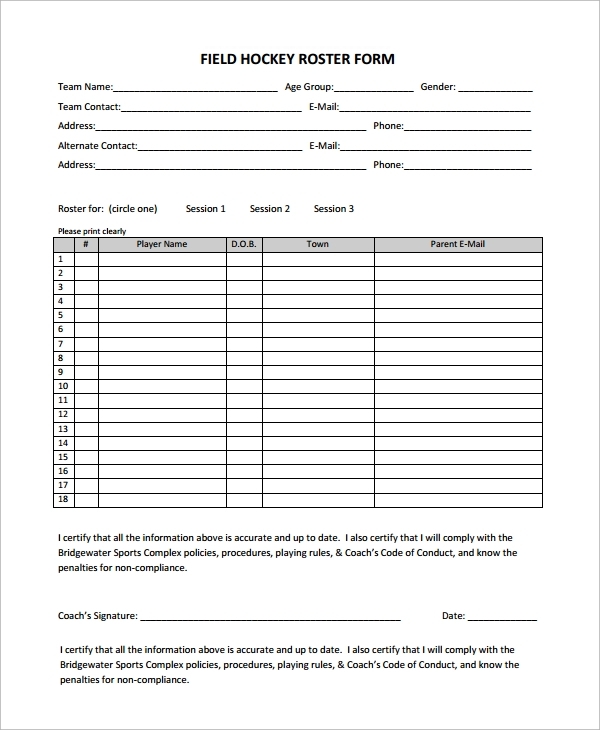 The printed-ready template is downloadable. You can simply search the file and look for the type of template that fits to your needs. The template actually comes into different format. You can simply pick the format that you think fits to your needs and wants. It is available and accessible online, in fact, it is printable.